Well this is a NON Sabine related post. But for any of you that are interested in Bluegrass and are in the area of Seattle on May 9th at 2:00 pm. 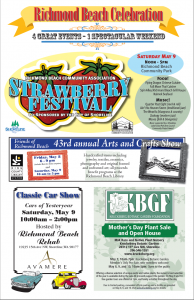 My bluegrass band (The Weavils, http://www.theweavils.com) will be playing at a local festival called Strawberry Festival. Hope to see some of you there. One last picture(s) from the trip to the sculpture park. Here Terese is going through her repertoire of poses for the camera. This is four still shots I took and then in Photoshop aligned them all, and created an animated gif.